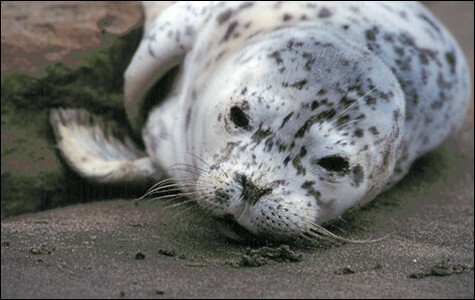 Harbor seals are being impacted by the oyster farm. In her attempts to block the creation of the first marine wilderness on the West Coast (see "Feinstein's Folly," 6/13), US Senator Dianne Feinstein has relied heavily on the work of Corey Goodman, a former neuroscience professor at UC Berkeley. Over the last several years, Goodman has repeatedly criticized scientific studies conducted by the National Park Service at Point Reyes National Seashore. And Feinstein has pointed to Goodman's critiques as proof for why a large oyster farm should receive a ten-year lease extension at the national park — a move that would delay the creation of the marine wilderness at Drakes Estero. However, a newly released document reveals that the head of a highly respected, independent panel that has studied the oyster farm's effects on the estero says Goodman's critiques are riddled with errors. In a scathing and highly detailed memo, Tim Ragen, executive director of the US Marine Mammal Commission, stated that Goodman's work is "troubling," "wrong," "inaccurate," and "unreliable" and contains "fundamental flaws" that render it "incorrect on multiple grounds." The letter was obtained through a Freedom of Information Act request. The hard-hitting rebuke may also prove to be a devastating blow to Goodman's credibility concerning the oyster farm and the marine wilderness. In 1976, Congress designated Drakes Estero to become a federally protected marine wilderness, but that can't happen as long as Drakes Bay Oyster Company continues to operate in the middle of it. The oyster company's lease with the National Park Service is set to expire this November. 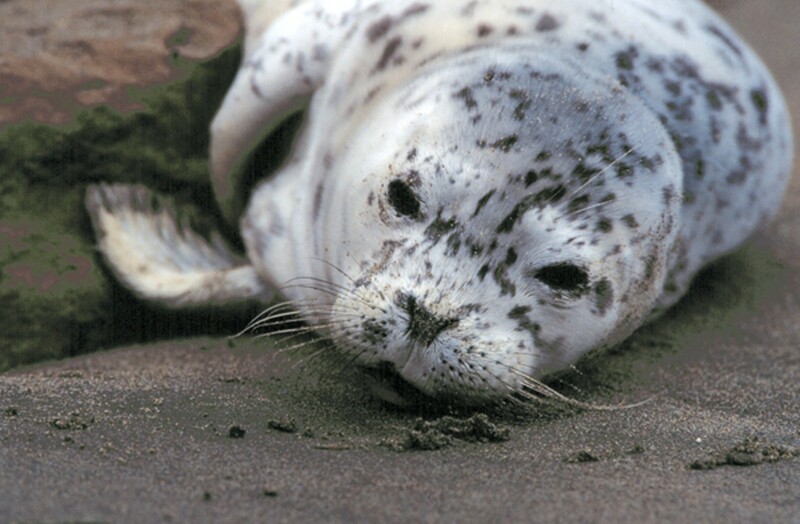 During the past half-decade the park service has contended that the oyster farm, operated by politically connected rancher Kevin Lunny, has been harming harbor seals. Drakes Estero is a major pupping ground for the seals. But Goodman has repeatedly contended that the park service is wrong. Goodman, who does not have a background in environmental science, had produced statistical models that he contends prove that the oyster farm's boats have not harmed the seals. But in his memo, Ragen stated that Goodman's statistical analysis is full of holes. "To be clear, such errors are not trivial in any regard," Ragen wrote in his memo last month to Goodman. "They are fundamental flaws in your application of the multiple regression model and they invalidate your results." Last November, the Marine Mammal Commission issued a report that concluded that there was some evidence that the oyster farm has been impacting the seals. In his memo, Ragen stood by that assessment, stating that "from time to time," the oyster farm's "activities have resulted in disturbance of the seals in the estuary." Feinstein's press office did not return a phone call seeking comment, so it's unclear whether the senator plans to continue to rely on Goodman's arguments to bolster her case as to why the oyster farm's lease should be extended. However, there is no doubt that she has depended extensively on Goodman in the past few years. For example, last year she attached a rider to the Marine Mammal Commission's budget bill, specifically requesting that the commission investigate the very same arguments that Goodman had been making about the oyster farm's effect on harbor seals. She also sent a letter to the park service in 2011, parroting complaints that Goodman had made about its draft environmental report on Drakes Estero. That draft report stated that allowing the oyster farm's lease to expire is the "preferred alternative." Feinstein also sent a letter earlier this year to US Interior Secretary Ken Salazar, alleging that the park service had "fabricated science" and pointed to arguments made by Goodman as proof. Although Ragen's memo likely will damage Goodman's reputation in the scientific community, Goodman still holds significant sway in the Point Reyes area. He's a rancher there, and he co-founded the Marin Media Institute, an entity that owns the Point Reyes Light newspaper. He also regularly writes opinion pieces for the Light criticizing the park service. But now that the executive director of a respected panel has rebuked Goodman's scientific work, it's hard to see how Feinstein can continue to rely on him. "Having this letter coming from an independent commission, it destroys the credibility that one has," said Neal Desai, associate director of the National Parks Conservation Association. Salazar is expected to make his decision on whether to extend the oyster farm's lease — and thus delay creation of the marine wilderness — later this year. Your Corporate Democracy Where's Kamala Harris? It would be a big mistake for Oakland to eliminate its monthly street party. Plus, a new scathing report of OPD and a controversial oyster farm loses in court.